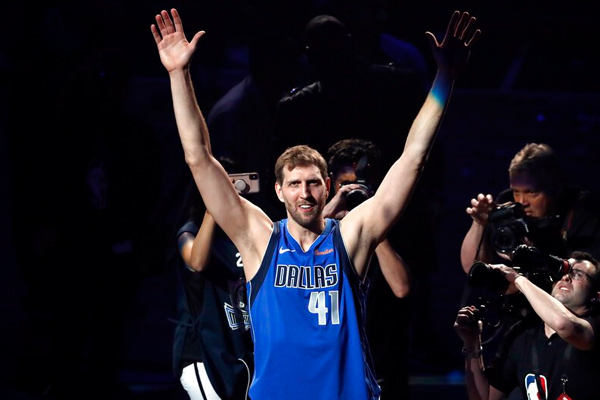 On Tuesday night, after the Dallas Mavericks won over the Phoenix Suns, Dirk Nowitzki officially announced his retirement from the NBA. This does not come as a surprise as most expected Nowitzki to retire, but he hadn’t closed the door publicly on playing next year until last night. He struggled at times throughout the season, but finished with a season-high 30 points in the Mavs’ 120-109 victory over Phoenix. “It kind of happened in the last few days,” said Nowitzki of his decision to retire, adding that issues with his foot played a role. The announcement came on the same night that Nowitzki’s contemporary Dwyane Wade played his final home game in Miami. Wade also scored 30 points. Dirk Nowitzki’s final NBA career game will take place Wednesday in San Antonio.